Although traditionally fried, rissoles also work well baked or grilled. Beef rissoles, a cross between breaded meatballs and hamburgers, are a common quick dinner dish in England and Australia. Often made from ground, or minced, beef, rissoles work well served warm or cold, and plain or with a tomato sauce or gravy. You can have this versatile dish star as the main course, or make your patties smaller and use them to top pasta or rice. Treat the beef like a blank canvas and experiment with your favorite spices and additions to create the flavor you desire. Dice vegetable additions into 1/4-inch or smaller cubes. Onions, sweet or hot peppers, or crushed garlic complement the flavor of the beef well and are common vegetable additions for rissoles. Prepare up to ½ cup of diced vegetables for every pound of beef. 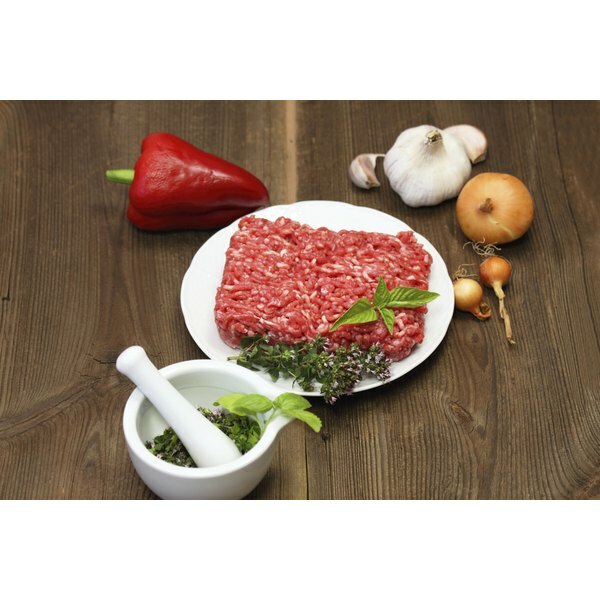 Place the ground beef in a bowl and season to taste, using approximately ½ teaspoon of seasoning per pound of beef. Add cumin and coriander for a Middle Eastern flavor, or curry powder, turmeric and ginger for a more Indian-inspired dish. Simple salt, pepper and parsley flakes, or spicier chili powder, also complement the flavor of the rissoles well. Add the diced vegetables and thoroughly mix these and the seasonings into the ground beef with your hands. 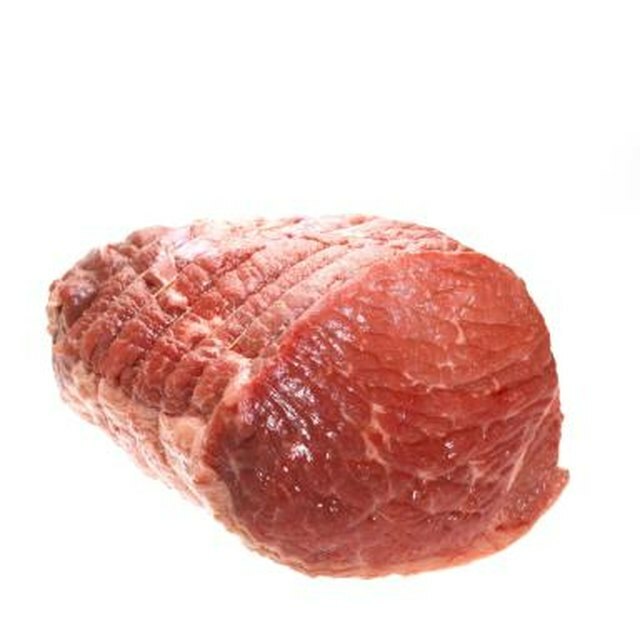 Form the beef into 10 to 12 even-sized flattened balls. Coat each ball in seasoned flour or bread crumbs. Coat the bottom of a large skillet with your preferred cooking oil. Heat the oil over high heat until the surface begins to shimmer. Lay the rissole patties in the oil and fry them for approximately 5 minutes on each side, or until they are cooked through and reach a minimum internal temperature of 160 degrees Fahrenheit. Remove from the pan with a spatula and drain the excess grease on a paper towel for 2 or 3 minutes before serving. Rissoles are also commonly made with ground lamb; you can also substitute other ground meats, like turkey.